April is for Poetry, Earth Day, and – Hey, wait, it’s School Library Month! I cheered aloud and my students obligingly echoed. However, inside I was thinking, “Dang it, what?!? How could I have missed that? 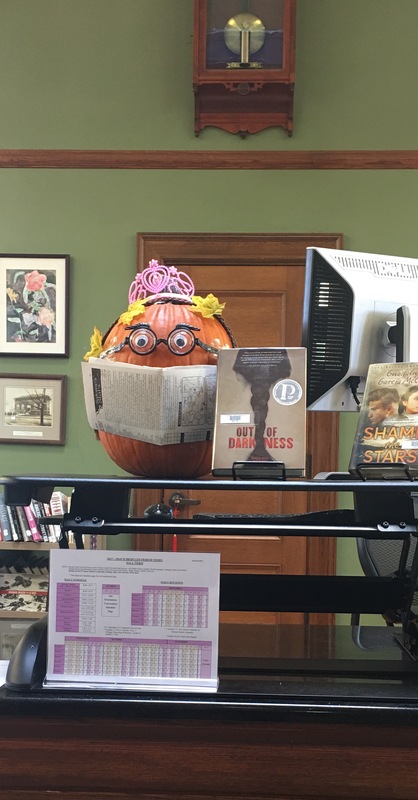 An opportunity to make some noise about our library, and I’ve blown it!” Then I remembered that April, I was pretty sure, is School Library Month, and maybe I could still rally. But what to do with only two weeks left to celebrate? Luckily, in a past April, an earlier me was a little more on top of things. I remembered that it’s actually been a few years since I have set up pop-up libraries in different parts of campus, with themes and genres relevant to their locations around school. Having already created much of the signage to reuse or edit, and with new books, new institutes, and new students (for whom these good old displays are new and fresh), I can pull off School Library Month. Instead of bringing students into the library, I’m taking over – bringing the school library to them. 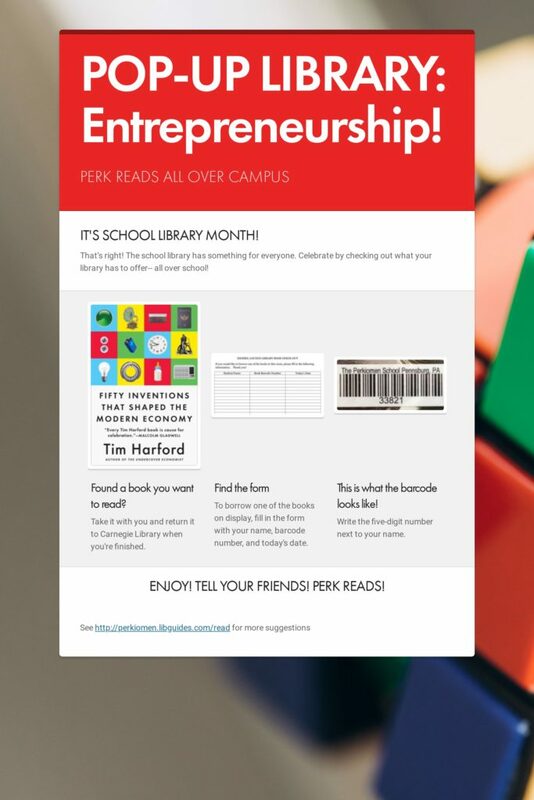 Years ago I created Smore flyers to showcase books that would tie-in with areas around school suitable for a small book display – sports for the athletics center, books on food and eating for the dining hall, writing for the Writing Center, and other topics or genres that could go anywhere. Now I just need to swap out a few book covers for some newer related acquisitions, make connections to new programs and renovated spaces, and dust off @perklibrary on Instagram. In the chosen locations, I display just a few books with a printout of the flyer and a self-checkout form similar to the one we use when we’re out of the library, so the students are familiar with it. Thanks to a fun half-forgotten project recycled from a few years ago, I have a new spring in my step, and a promotion for School Library Month. I can’t wait to think of new pop-up ideas and ways to promote them. 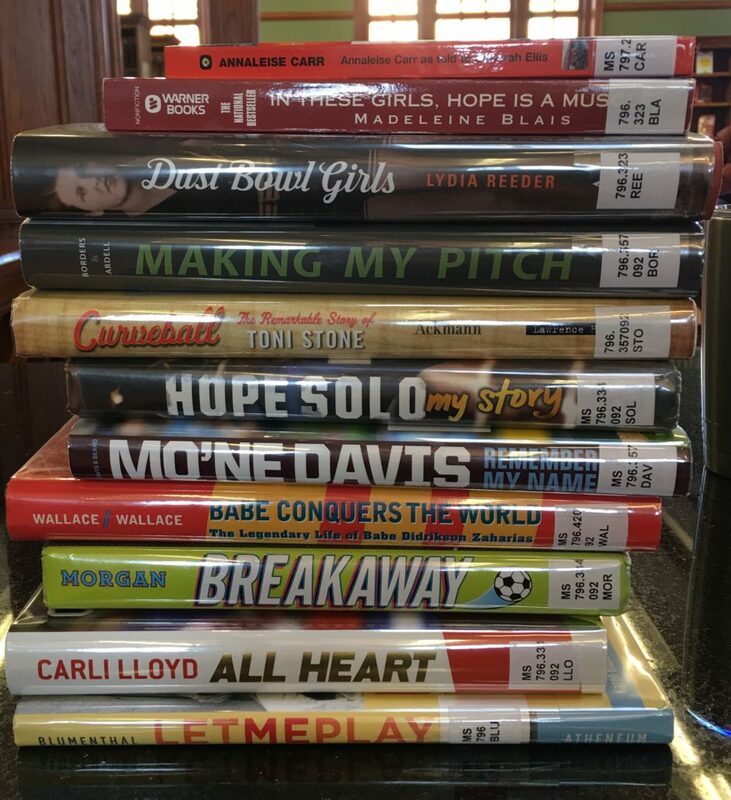 Bringing new titles into parts of campus where they aren’t normally seen but still seem at home is a great way to promote reading and showcase the library as the heart of the school. I love AASL’s theme for this year: Everyone Belongs @ your School Library. How could it be said any better? But I like the flip of that idea, too: Your school library belongs everywhere. Here’s a story about how it pays to be “game” for just about anything when it comes to faculty collaboration. If your school is like mine, it is easiest and most obvious to forge collaborations with the History/Social Studies, English, and Science departments. It is valuable, important, satisfying, time consuming, and sometimes challenging enough to make those relationships work effectively and consistently. 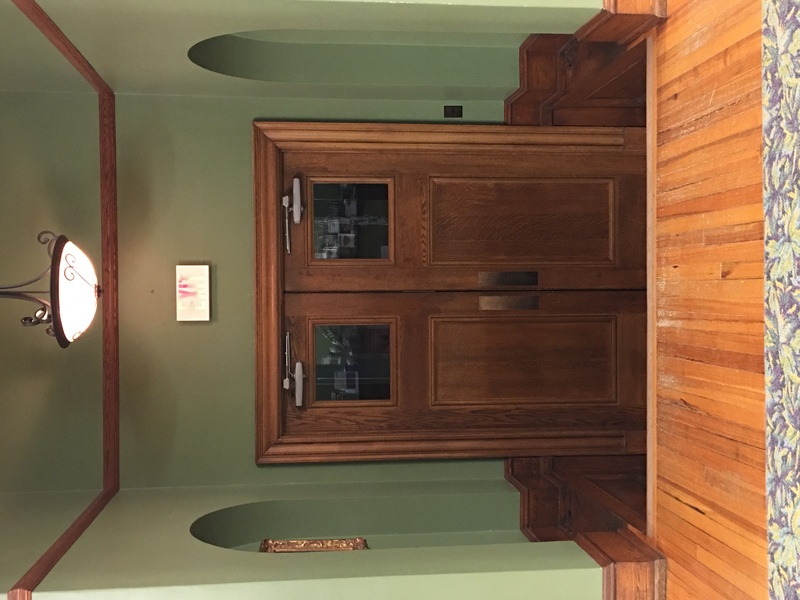 So, when we get an opportunity to make a library connection with a new department or office — yay, bonus! Our school started a new initiative this year to promote and highlight girls’ sports. Called PerkGSports, athletes and coaches use social media, morning announcements, and other school communications to celebrate our female athletes. It’s been a source of positivity and community building on campus this year, that I have happily followed and “liked” through the library’s social media accounts. 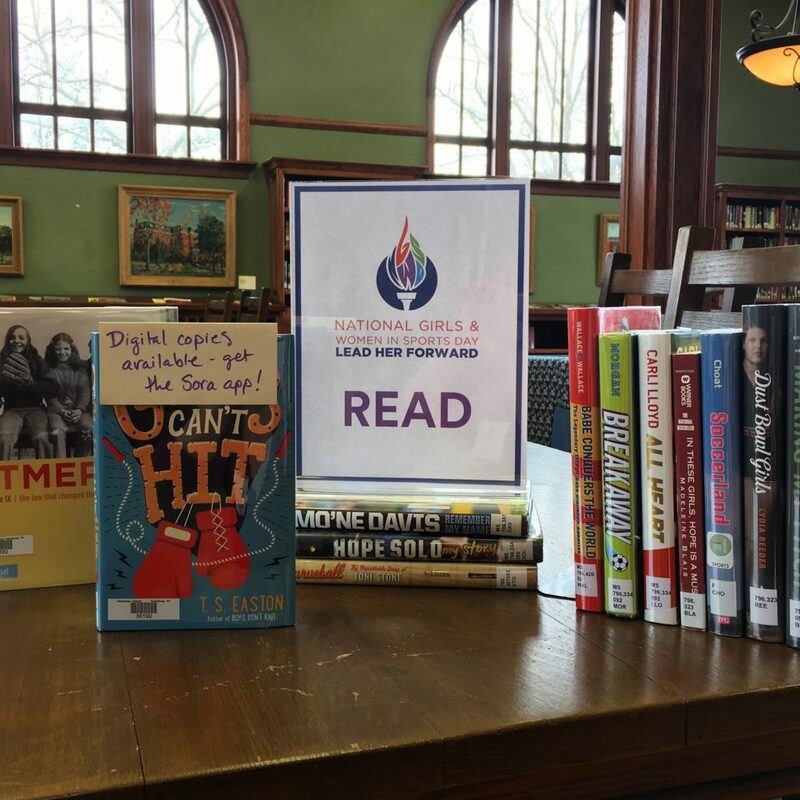 So, I was thrilled when the faculty member who leads this initiative called me to see if we could organize a book discussion to help celebrate National Girls & Women in Sports Day! I started by gathering any title I could find on our shelves that might fit the bill; fiction or nonfiction, middle grades or YA. We decided it would be a good idea to let the interested students choose, so I created a Google form and sent it to the other faculty member to distribute. 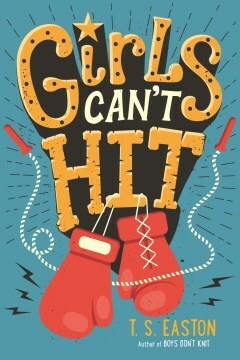 With Girls Can’t Hit by T.S. 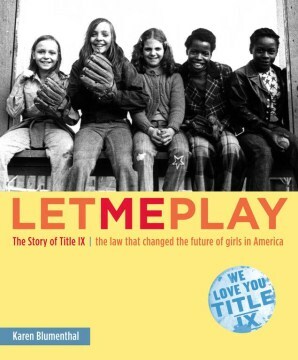 Easton as the favorite by one vote, we decided to offer the choice of either that novel or Let Me Play: the Story of Title IX, the Law that Changed the Future of Girls in America by Karen Blumenthal to broaden appeal and participation. A student announced the books at Morning Meeting on February 6, as part of their larger presentation about NGWSD. I purchased a couple more copies of both titles. Following the so-far-so-good-model of our Windows & Mirrors book club meetings, we’ll offer food during both lunch periods along with casual book discussion. (Note to self – should we meet in the Athletic Center instead of the library?) I can’t wait to hear what conversation comes out of these selections, and how attendance and participation may vary from our other book discussions. So far it’s a “W” for the library, girls’ sports, and collaboration! good work to do that engages my mind and heart and is different every day, and a stunningly beautiful space in which to do it. colleagues who care about our students and their learning and are open to doing this good work together. awesome students who amaze me every day with their creativity, curiosity, intelligence, drive, compassion, empathy, humor, and courage. books and the authors who write them, especially for young people. apps, websites, and tools that make our work easier and more effective. a free press and journalists with high standards. other librarians in public and independent schools who are so willing and eager to share their brilliant ideas and challenge me to do a better job (whether they mean to or not), and who speak my language and share my questions and professional values. Following a revelation I had last year regarding serving ELLs and international students at my school comes another, courtesy of my ESL teacher colleagues. At the beginning of this year, they led a best practices session for faculty in which they emphasized that we all, no matter our disciplines or the language levels of the students we teach, need to be teaching vocabulary. They presented the three tiers of vocabulary development among other resources (mentioned below) and asked for our support in helping all students learn words in the second and third tiers, which become progressively more academic and domain-specific. As an educator whose lessons can be jargon-heavy and full of words that have meanings specific to the library context (catalog, database, call number, collection) or the research process (authority, operator), this struck a chord. I often explain these terms during the course of an orientation or lesson, but I don’t directly teach them. In the month or so since that in-service day, I have been seeking tools and strategies to help me in my journey toward becoming a library and research process vocabulary teacher. As a new researcher, let alone a new researcher working in their second or third language, these terms are not easily understood or may not make sense out of their previously known context. Figuring out the appropriate word list for a research unit would depend on the level of the class and the input of the classroom teacher. My toolbox for direct vocabulary instruction is growing as well. In Vocab Rehab, Marilee Sprenger offers vocabulary instruction techniques that can be used in a class period with limited time. These could be handy during library orientations or one-shot lessons, provided there is opportunity for continued practice and reinforcement. As new words come up, they could be added to a library word wall. Then a few minutes each inquiry session could be dedicated to engaging vocabulary review. 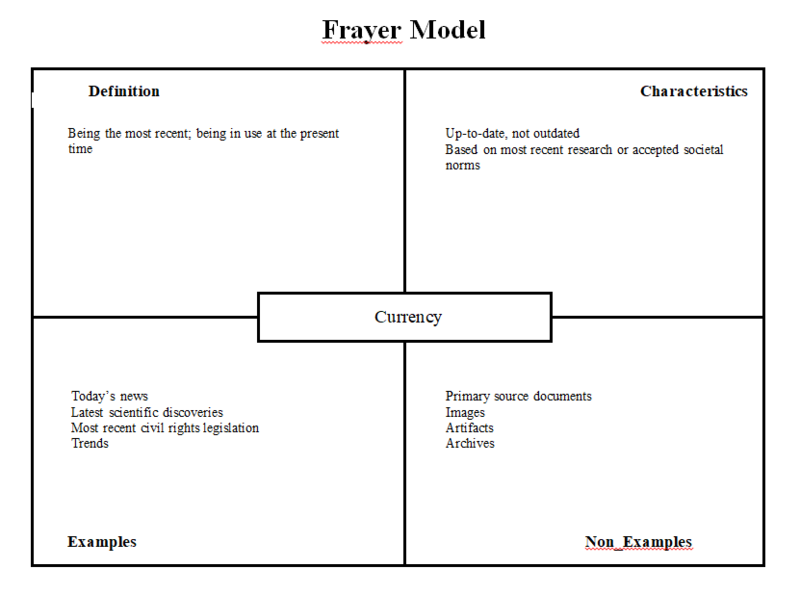 The Frayer Model could be used to help students understand the terms represented by the acronymic CRAAP test, for example. Academic Word Finder identifies Tier 2 words for a certain grade level within a text, sometimes with surprising results. I can’t wait to put some of these ideas to use as the year moves ahead and our ESL classes begin research projects. Building Tier 2 and Tier 3 word lists will be a wonderful opportunity for furthering collaboration with ESL teachers, and will benefit all student researchers too. development through the inquiry process. Teacher Librarian, 44(3), 16-20.
limited time? Alexandria, Va.: ASCD. grades 4-8. Portsmouth, NH: Heinemann. As a school librarians, we teach the research process. I have been wondering about how stories and storytelling might improve and spice up the teaching of this process, connecting inquiry to human experience in ways that feel relevant and vital to students. I’d love to help them progress through a research process using story to engage and illuminate, and in so doing, revealing to students that they, as researchers, are creators and storytellers. How to do this? I’m sharing ideas here that are still baking in the summer sun, so I hope you’ll consider and comment freely especially if this reminds you of something you already do or know about. While I’m inspired to learn more about storytelling and to begin to practice it, I’m not quite there yet. So far, I’ve thought of two texts that might help serve as stepping stones to engaging students in the process through story. “Background: Your background provides the context for your scientific quest. What do we already know? What don’t we know? Why does it matter – Mrs. Turton” (63). How about a collaborative research unit with Middle School English and Science teachers, beginning a research process with a study of this novel? Has anyone done this or something like it? A summer idea to mull over! 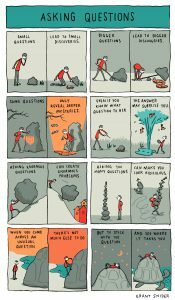 Another book that could work to incorporate visual storytelling into teaching and supporting students through the research process is Grant Snider’s relatable and adorable The Shape of Ideas: An Illustrated Exploration of Creativity. While meant to relate to artistic creation, I think that parts of this simple book in the graphic format are wonderful illustrations for students identifying research topics, exploring information, formulating research questions, making connections between ideas, struggling with originality and procrastination, and reflecting on the process. If you have this book in your collection, I recommend taking a look at its application to high school researchers as an illustrative guide to and validation of their process and feelings. It also helped me feel better about not knowing what this post would be about until pretty recently. Snider, G. (2017). The shape of ideas: An illustrated exploration of creativity. 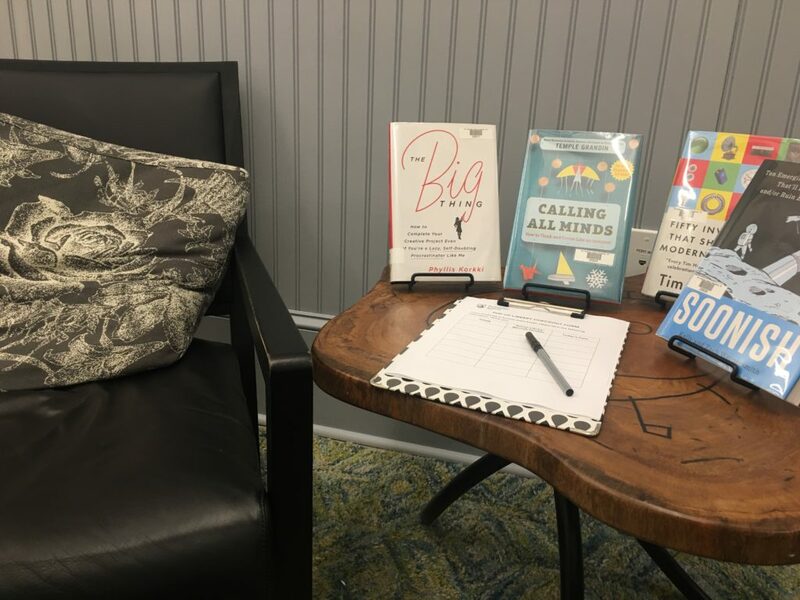 Last week I was preparing for the first meeting of a new book club that had been reading The Culture Code: The Secrets of Highly Successful Groups by Daniel Coyle. I hadn’t (and still haven’t) read the whole thing, but I did open up the table of contents a few hours before the meeting to select a chapter or two I could consume before then. Chapter 11 in the section entitled “Share Vulnerability;” is called “How to Create Cooperation with Individuals.” Like I’m sure many of you have found, I find that my best interactions with students engaged in a research process are in one-to-one research meetings, so I opened up this chapter. Either I picked exactly the right one, or I ought to read the whole book. These are some basic elements at the core of our profession that I think we generally internalize, but it doesn’t hurt to give them some extra thought sometimes. Simple but important, “approachability” is listed first among RUSA’s Guidelines for Behavioral Performance of Reference and Information Service Providers. Steven Bell at Temple University, who was the keynote speaker at the 2016 Summer Institute, blogged last year about the basic importance of being friendly, approachable and trustworthy in library services (https://tinyurl.com/y8x8xb7y). Our Marsha Hawkins in her great conference presentation last month on the “Boy-Friendly Library” talked about this simple idea too, when she said that she greets every student every day by name. Making ourselves accessible and approachable creates the shared vulnerability that builds trust in a community. Just imagine the pumpkin is me. Working at a computer at the desk, it is way too easy for me to, as Steven Bell writes, “fail to quickly and adequately acknowledge another person’s presence.” My monitor and the desk itself are physical and psychological barriers between the students and me, and it’s my job to break them. I want to make eye contact, say hello, “happy birthday” and “good luck at the game today” to students as they walk in the door, giving them the cue that they are welcome and in the right place, and usually/often I do. But sometimes when engrossed in a task, I find that I haven’t looked up in a while. Maybe a student will say hello to me and draw me out of that place, making me feel sheepish for failing to greet her and acknowledge her presence. On the other hand, maybe I’ve greeted her enough times that the relationship is there and her greeting can remind me of why I’m standing in the middle of this room in the first place – to be approached, to be open to what the students need and help their ideas surface, and to be at the heart of a school culture that supports and gently pushes at the same time. Coyle, D. (2018). 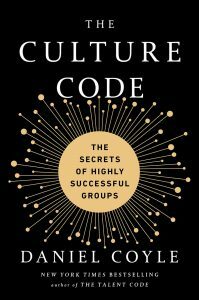 The culture code: The secrets of highly successful groups. New York: Bantam Books. Hawkins, M. (Presenter). (2018, April 17). The fundamentals of a boy-friendly library: Practice and research instruction. Presentation given at AISL annual conference, The Lovett School, Atlanta, GA. This year I’ve been looking at a couple of “big picture” issues at our library, squeezing in my investigations around the edges of everyday library life: user experience, especially of our online presence, and examining those new AASL standards with an eye toward linking them with other school priorities, including cross-walking with other sets of standards (a whole other post!). Among other things, these projects are leading me to another big question that I have begun to think about in a new way; how best to serve our international students and English Language Learners (ELLs). In my consideration of these students and their needs, I have tended to focus on the second part of this description – service to ELLs. In collection development, class visits, one-on-one instruction and summer reading selections, I have tried to accommodate and learn how to provide accessible, interesting, and useful materials and information. However, I have felt slightly at sea when trying to learn more about school library service to ELLs – much of what I find, rightfully and crucially so, addresses the multifaceted and diverse needs of young students from immigrant or refugee families or those growing up in the U.S. who speak a language other than English in the home. For the most part, these just aren’t my students – our ELLs are international boarding school students in middle and upper school enrolled here in order to learn and build on English skills, and usually to prepare for the TOEFL and study in an American college or university. These students and the way to approach serving them, I have recently realized, may have more in common with international student experiences in academic libraries. 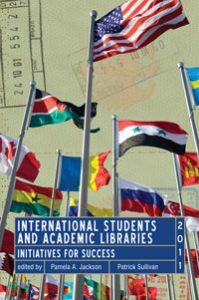 While I have found almost nothing specifically about serving international students in independent K-12 school libraries, plenty of academic librarians have researched, written about, and created resources to support international students coming to their institutions. This now seems so obvious, but my focus on the age group we serve in K-12 schools has often kept me out of diving very deep into practices common to academic librarians. Well, no longer. While my students needs and backgrounds are also diverse and multifaceted, perhaps I should begin to balance my investigation of library services to younger ELLs with strategies tested by our colleagues in higher education to support international students as readers and researchers. Interview faculty members who are from or who have lived overseas, especially those countries from which our students are coming. Have casual conversations with international students to get a sense of what their perceptions are about the library and the role of the librarian. Connect with young alumni who have matriculated at institutions whose libraries have made specific efforts to reach out or offer special programs to international students. Collaborate with ESL faculty members to include more hands-on library time at the beginning of the year, introducing myself and the physical and virtual spaces, and ideally embedding library instruction into summer camp or new student orientation. I’m not sure whether creating a resource guide specifically geared toward international students is the way to go, though many college and university libraries have done so. (A search for LibGuides for international students retrieved pages of results from universities; none from a school in the first four pages of Google results, anyway.) However, I am awakened to the need to learn from the powerful wisdom of my ESL teacher colleagues and academic librarians in not only collection development and appropriate information literacy scaffolding, but also user experience. A lot more articles just got added to my professional reading list! If you have discovered useful resources, UX design ideas, or effective ways of providing library services including information literacy instruction to international and ESL students in middle and high school, please comment! Hickock, J. (2008). 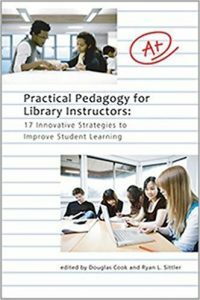 Bringing them into the community: Innovative library instructional strategies for international and ESL students. In D. Cook & R. L. Sittler (Eds. 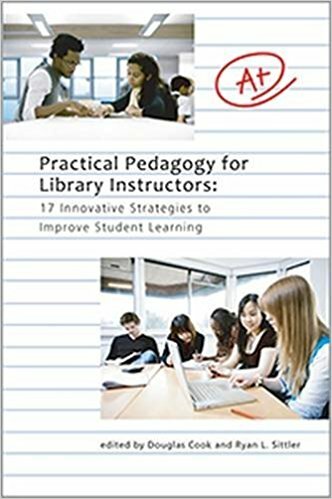 ), Practical pedagogy for library instructors: 17 innovative strategies to improve student learning (pp. 159-167). Hickock, J. (2011). Knowing their background first: Understanding prior library experiences of international students. In P. A. Jackson & P. Sullivan (Eds. ), International students and academic libraries: Initiatives for success (pp. 1-17). Chicago, Ill.: Association of College and Research Libraries. In a post back in November, I shared my hopes for a new Windows & Mirrors book club that was kicking off that month at our school, with The Hate U Give as our first read. I am happy to share now that it was a success! We opened the library and provided pizza during both lunch periods, and had eighteen participants in total. While readers munched on their pizza, I played a video featuring Angie Thomas talking about her inspiration for the book, and then read aloud a lengthier piece on the same. I had the publisher’s discussion guide with me, but really didn’t need it. After eating lunch the readers enjoyed casually talking about the characters and moments that resonated with them, the parts that made them angriest, the book’s humor, and how they identified with the relationships among characters. In both meetings conversation spread to memories of learning about Emmett Till in Middle School and viewing that particular image for the first time. Our Upper School readers loved this book. It was a strong first choice to start things off, being a pretty new book that has generated plenty of buzz with relevance to students and a movie on the horizon. 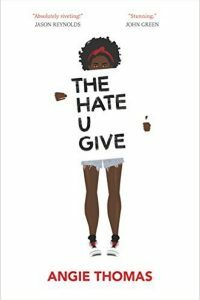 It didn’t hurt that we had some readers ready to go – The Hate U Give was one of our Upper School Summer Reading options in 2017, and it is on this year’s county Reading Olympics list, so when it came to extracurricular reading time busy Upper Schoolers could cover more than one base with this book. Since this book club is a collaboration between the library and our Global Diversity Council, the GDC faculty leader and I talk over book choices and logistics. We agree that student input on book choices would be a good thing, but to keep the ball rolling and get a few copies of the next book before winter break we chose the second book ourselves. 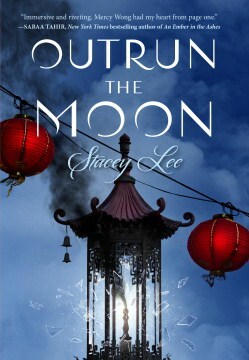 This month we’re reading Outrun the Moon by Stacey Lee. This choice allows us to open up this session to Middle School students and reveal new windows and mirrors. Collaboration with another campus group. Many of the readers are also involved in the GDC, so they are able to maximize and diversify their participation in that as well as help publicize the book club. We have been fortunate to be able to order a few copies of the books to circulate among interested readers over school breaks and leading up to the meetings. All copies of Outrun the Moon, including the library’s hardcover, eBook, and audiobook copies, were claimed within the first two days of the announcement and a few have come back and gone out again. Being able to provide access to a few copies is simple but important. One of our ESL teachers has offered extra credit for participating! I tend to err on the side of over-ordering when it comes to food, but it turned out two slices of pizza per person was enough. 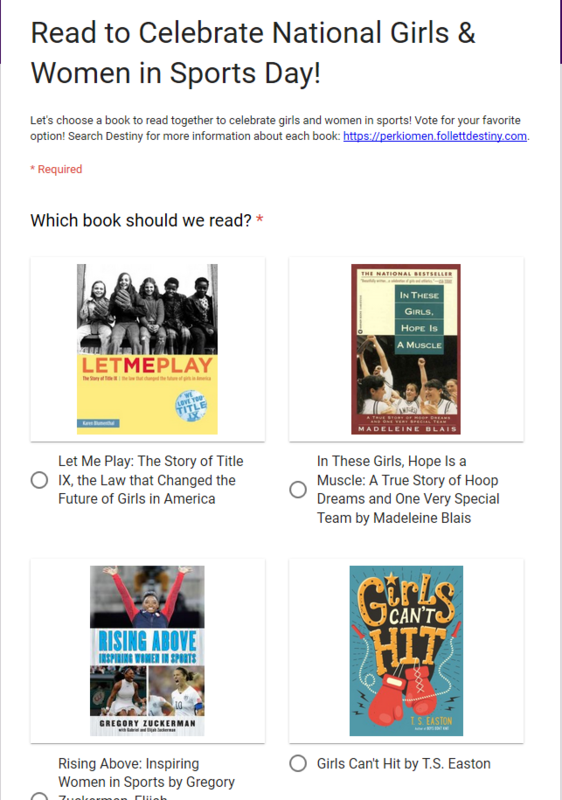 Last week a student asked how she could get on the “selection committee” for the book club, so students are engaged in this concept and thinking of titles themselves. I created a Google Form to get the GDC members’ input on a selection with an LGBTQ focus to coincide with Day of Silence in April. 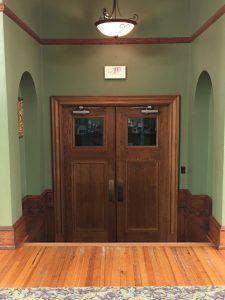 This morning I overheard a student tour guide in the library telling prospective families about the club, and while writing this post, two faculty members have emailed me with book ideas. I will really feel like this new try at an old idea is a success if our next meeting goes as well as the first and if the excitement can continue at least until the end of the year, or for a few more books. So far, so good! Please feel free to leave book suggestions in the comments. All advice welcome! While this is something we all know already, evoking Rudine Sims Bishop’s often referenced “windows, sliding doors, and mirrors” metaphor, I read it at the right time. This past summer our faculty and staff read Global Dexterity by Andy Molinsky, and the last line of this quotation points beautifully to the concept of this title; that we can find and should seek ways to effectively engage, identify with, and relate to people who are culturally different from ourselves without compromising our own identities and values. Reading about a fictional yet realistic character’s experiences is a safe way to practice this, which our school community wants and needs to do. This article reminded me how simple yet powerful a program this could be, and with the right book, the right group to participate in and promote it, and enough (widely publicized) pizza, it could be a success. This feels a little hard to say, but one of the stumbling blocks our book clubs have faced in the past is perhaps too much student ownership. I think my belief in wanting to give students voice and choice in this type of activity may have deprived them of a valuable experience. Of course I would like student voices heard and student ownership of our selections and discussions, but well-intentioned as our students may be, they, like all of us, just don’t always have time to do “extra” things like prepare, make posters, and successfully book talk an extracurricular novel. Reminder to self – reading promotion, awareness of current publications, and facilitating discussions about literature are my job. Those things aren’t “extra” for me. So maybe, for the students to have a great experience, a little adult (read: librarian) ownership is not such a bad thing. I went to a GDC meeting last week and shared this idea. Rather than asking for book suggestions from the students, I said “The first book will be The Hate U Give by Angie Thomas, and first meeting will be during lunch on December 13 in the library with pizza. I hope that if we decide to continue the book club that you folks will have some suggestions.” An interested buzz made its way around the room, so that’s good enough to forge ahead. With interest and partnership from the GDC, I think this will go very well. Our library collection holds copies of this particular title in three formats, and the GDC was able to purchase a few copies for students, faculty, and staff to bring home over Thanksgiving break. The books came in yesterday and three copies had already been claimed by 8:30 this morning. I’ll spring for the pizza. I would love to hear about others’ Windows and Mirrors Book Club successes, stumbles, and book choices. My hypothesis is that we will need to choose very current titles representing diverse identities and experiences, personally invite some folks who might not be paying attention to emails and announcements, and make sure everyone knows about the food.